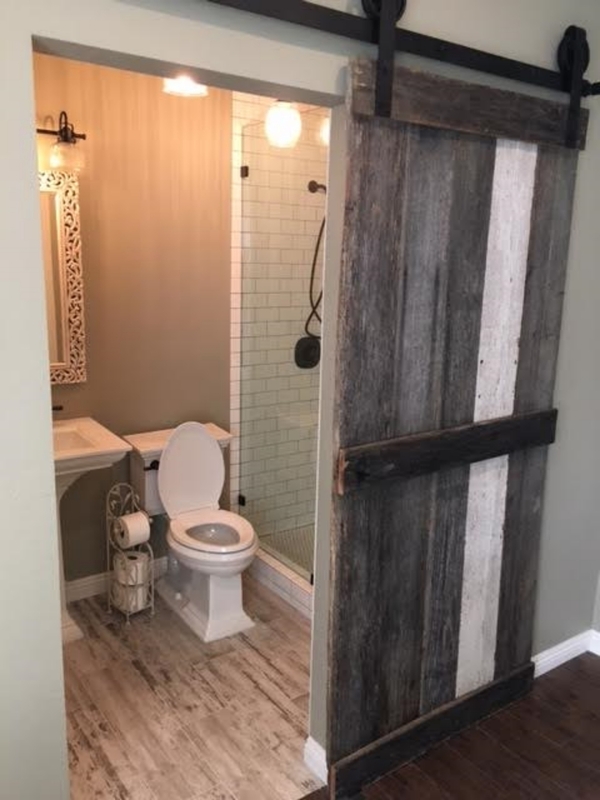 The barn doors have become more and more popular recently. They're full of heritage and history. They're easy to match to any interior style you're doing for your room...rustic, traditional, contemporary, and even modern. If you were putting one in a bedroom for example, the barn door automatically brings a warmth and coziness that is often sought after. You can also use the barn doors for smaller rooms that start off with little space for even a door to open and close. As long as you have the wall space, you're golden. The picture below is one of our latest barn doors in a clients home.